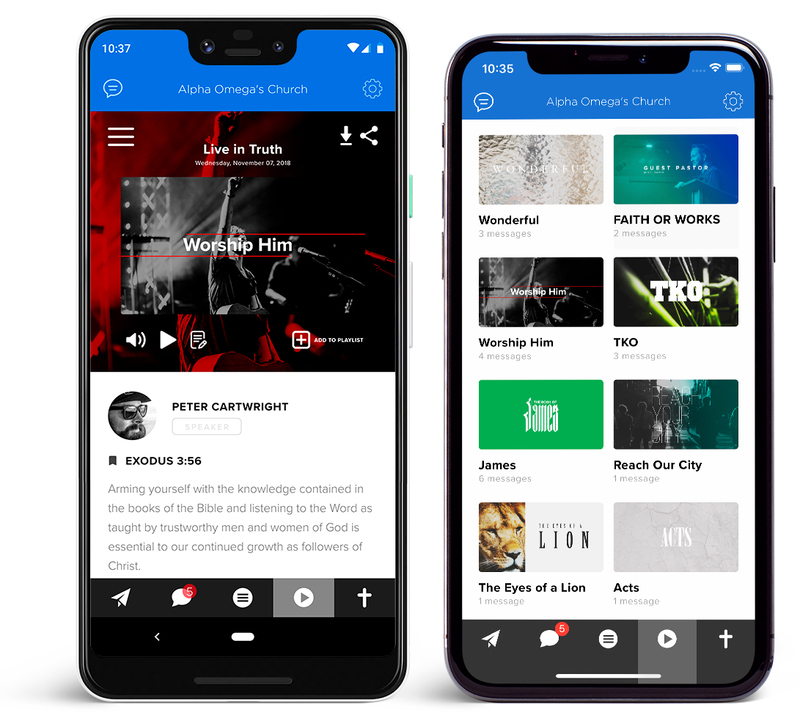 Your Church App built on the best platforms! The only church app platform running Apple Swift! Don't be duped into a CHEAP HYBRID church app! You can't afford to! You are in control of your app! Customize anytime. Make changes instantly and push live to everyone! 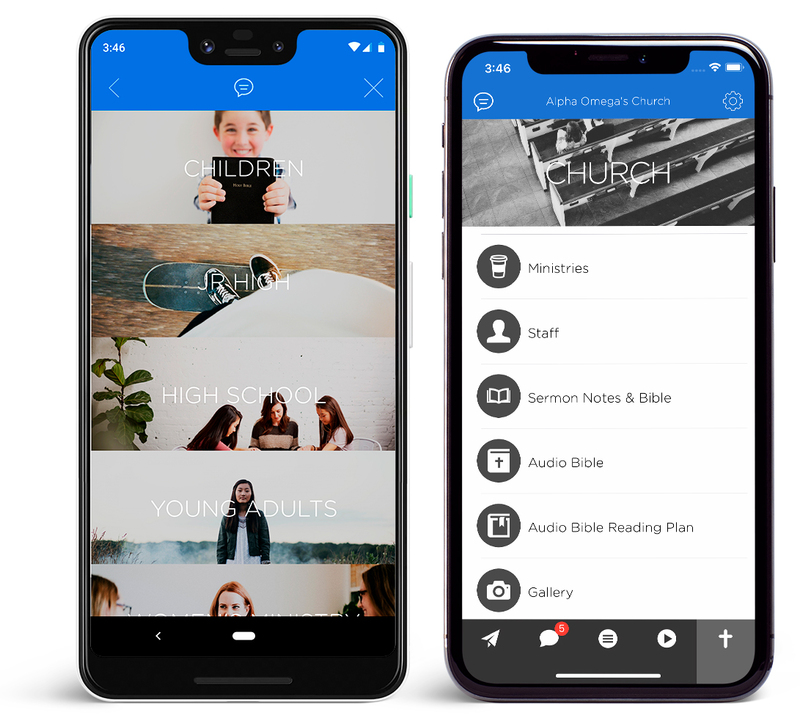 We have lots of different options and layouts for you to build the church app that you want, customize and YOU push live. Don't be fooled into church apps that don't offer this! 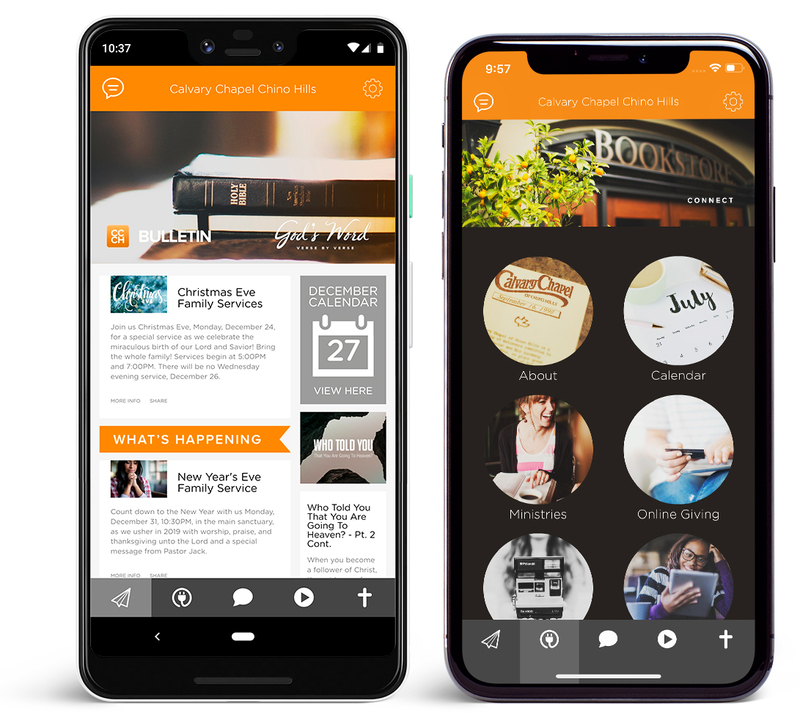 Our platform is unique from others because we offer the ability to add pages to your church app at any time, which is not the case with other church apps! We have created one of the most powerful features on the market. Along with push notifications, this feature keeps people connected. 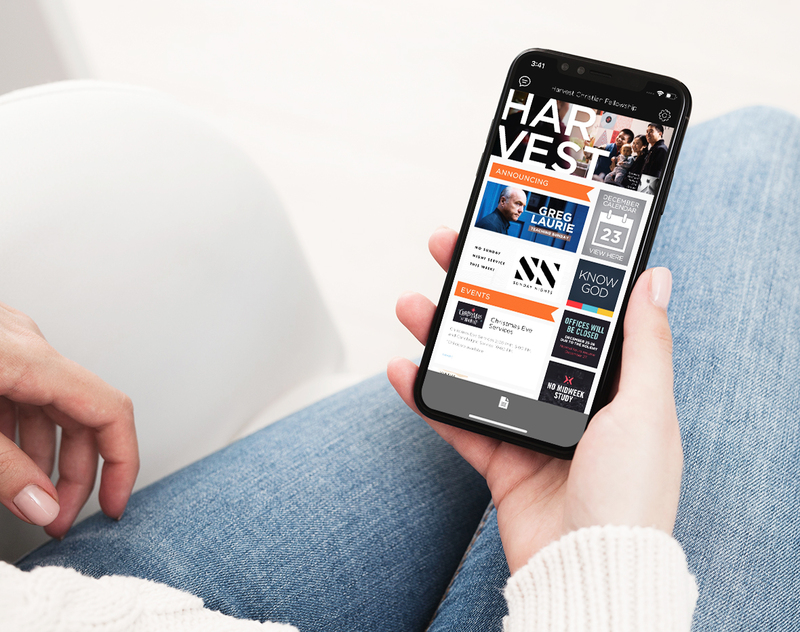 You have unlimited group, bulletin, announcement feed and regular push notifications at your fingertips. And you can send them anytime! APPs are the NEW Internet! 90% of what you do on your phone every day is done within an app! Allow your church family to discover all that you have to offer right at their fingertips! We are the only church app company to provide Apple swift to our customers! Using Apple Swift takes our customers and user experience to the next level. More then just a church app! 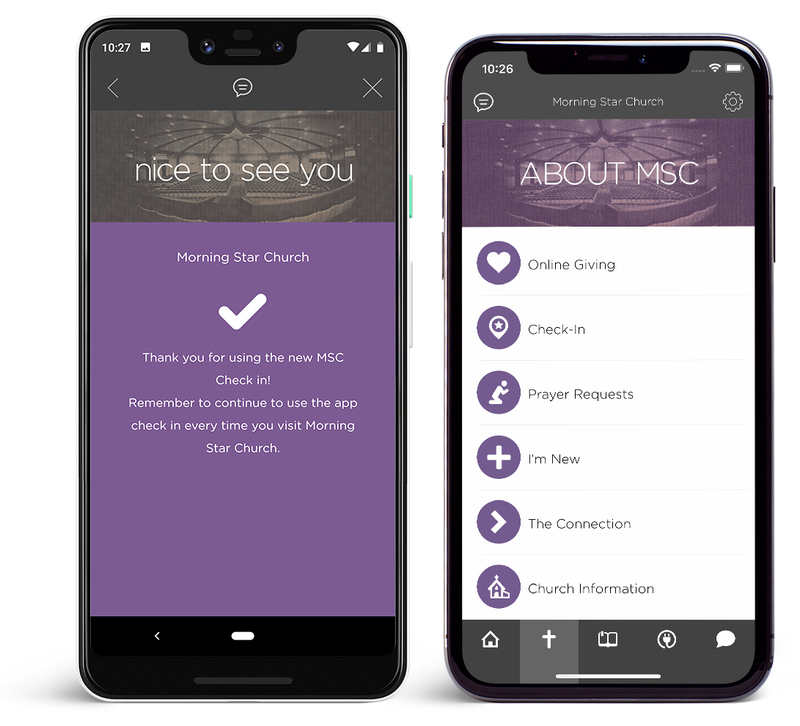 Having a church app is not enough. 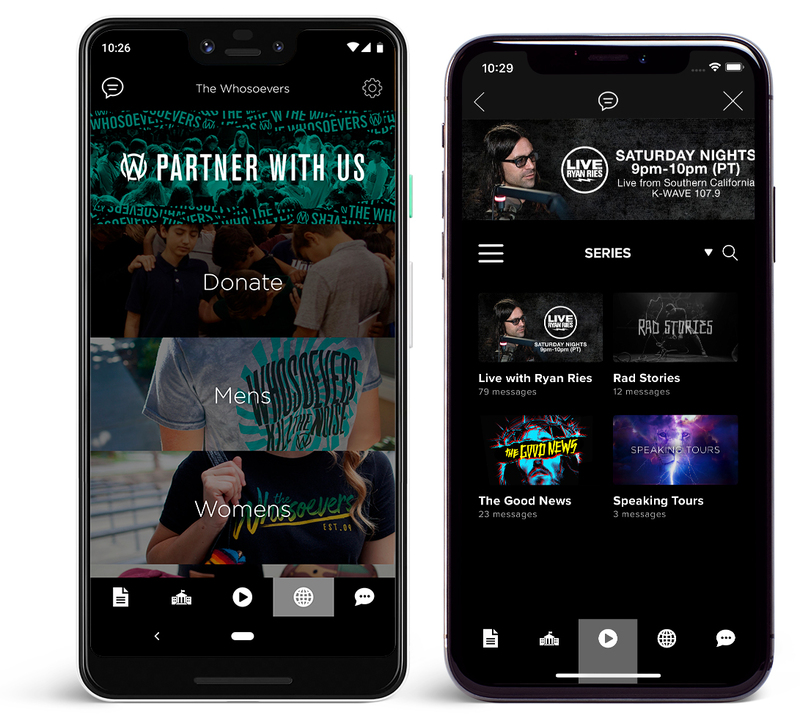 The church app has to provide great content to keep people coming back. Our platform has been built with this in mind. We are the only platform where our customers receive a 300-400% open rate each week. And that’s not just the first month like other church app providers, but month after month and even year after year. 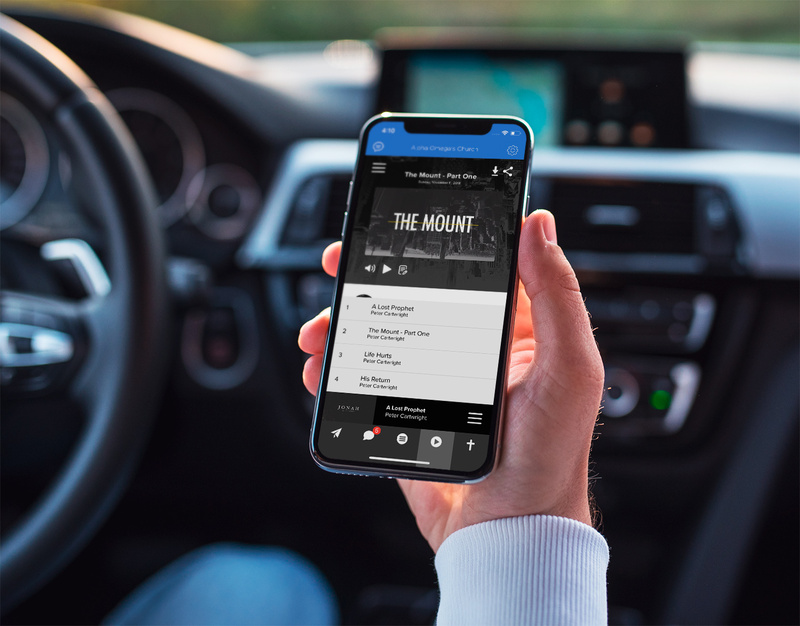 Most church apps have a podcast option that is often not user-friendly and can be limited. 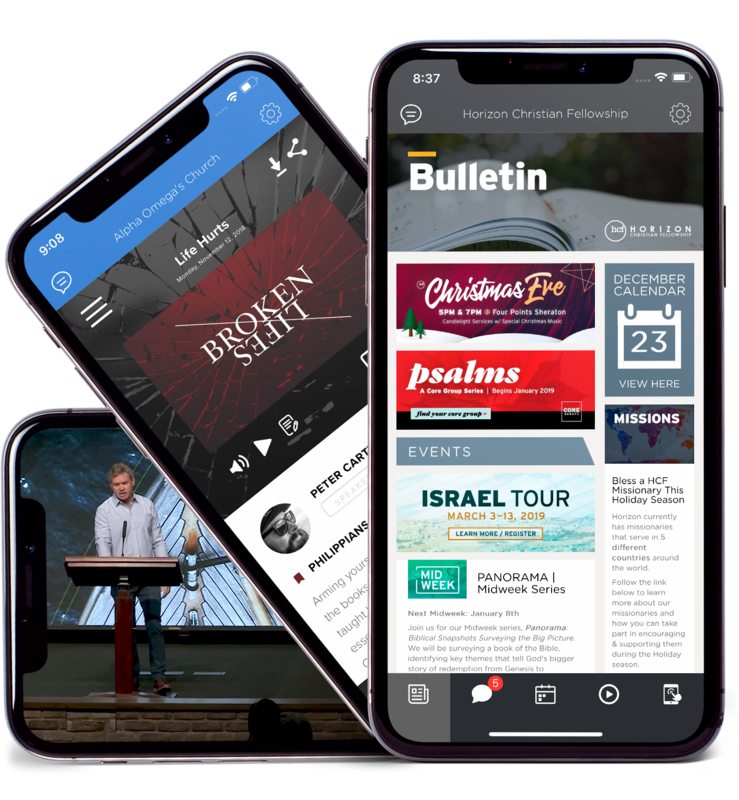 Our church app combined with our Sermon Cloud Media Player will give your users the best sermon media experience - Guaranteed. 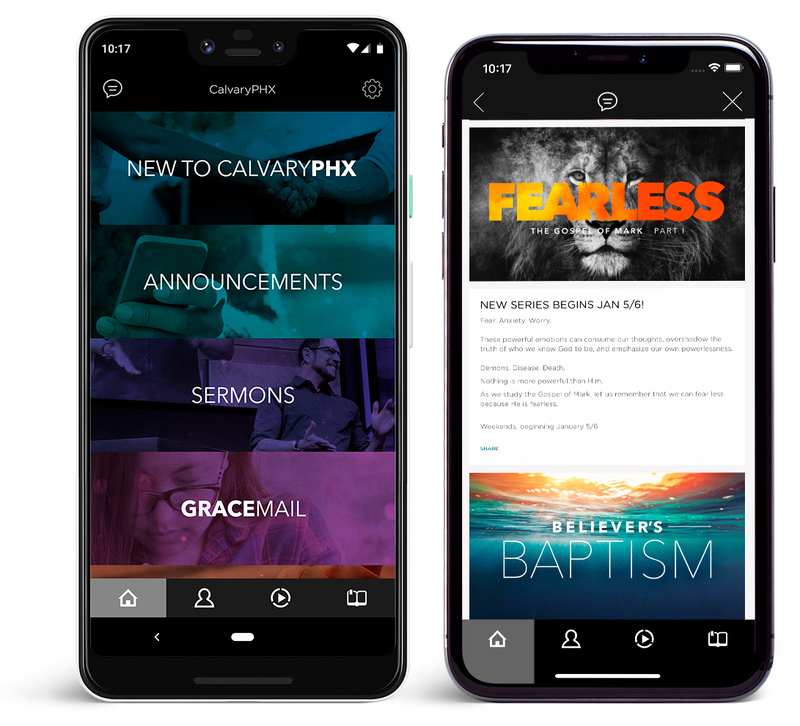 We give you the ability to customize your app load screen anytime, something you won’t find as an option with most other church apps. Most apps will only allow one load screen that you can’t change unless you pay for an update. With us, you can customize your phone and tablet load screen anytime with your logo or a special announcement. We are the only church app to offer Blue Letter Bible with all major translations at your fingertips. We are blessed and honored to have BLB pick our company to partner with, to build a unique experience for our customers. If you enjoy BLB please visit them to show your support by donating to them today! 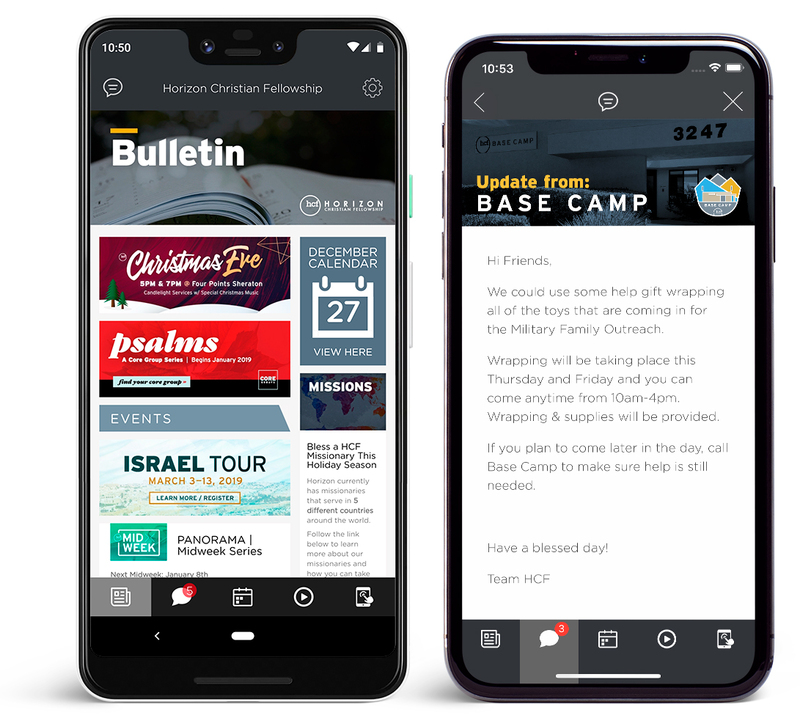 Bring a whole new level of communication to your church family with our digital bulletin. 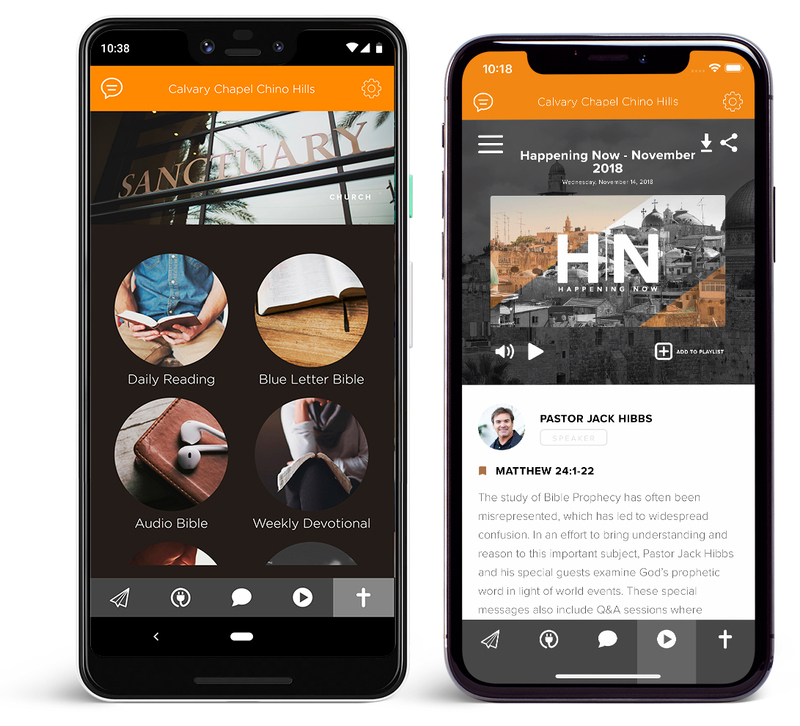 Your entire sermon library at your fingertips! Search by topics, speakers & much more.